Brian Michael Bendis’ Wonder Comics imprint is off to a fantastic start, with Young Justice, Wonder Twins, and Naomi all offering distinct perspectives on adolescent superheroes trying to find their way in the world. There’s still one more launch title to debut—next week’s Dial H For Hero—but thus far, Naomi is the crown jewel of the imprint, introducing a brand-new character with a concept that prioritizes personal discovery above spectacular superheroics. The adopted Naomi is obsessed with finding out the truth about her birth parents, and she’s convinced that she’s connected to a metahuman event that occurred on the exact day she was adopted. Written by Bendis and David F. Walker with art by Jamal Campbell and letters by Wes Abbott, Naomi is a riveting exploration of adolescent identity crisis, and Campbell’s dazzling artwork imbues these characters with rich personality while creating an immersive new DC setting Port Oswego. Naomi is sticking to a miniseries format to give Campbell plenty of time to draw the series without delays, and this exclusive preview of this week’s Naomi #3 showcases the depth of his storytelling as it jumps from an emotional conversation between Naomi and Dee to a stunning splash page revealing Dee’s alien past. 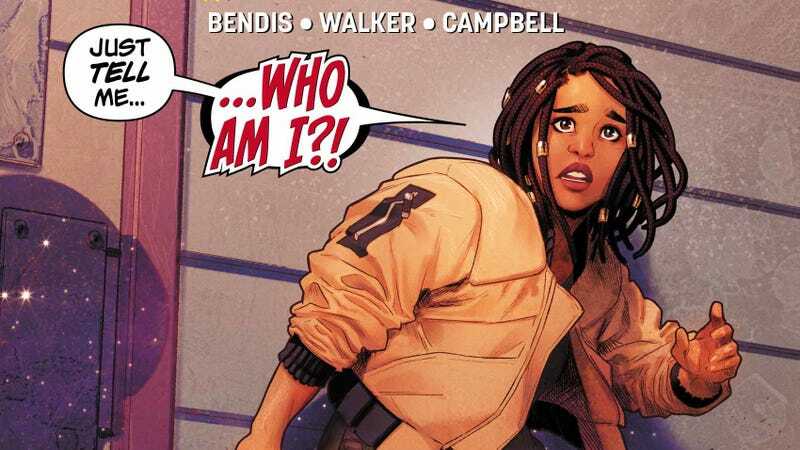 Campbell is a fantastic fit for Bendis and Walker’s script, fully capturing Naomi’s desperation and determination and contrasting it with the sullen sadness that overtakes Dee when he thinks about what he’s lost. There’s an impressive amount of detail in the linework, from Dee’s tattoos to the fully stocked garage to the alien battle armor, but that detail never gets in the way of character expressions or dynamic action. Campbell has done some particularly excellent work with layouts on this series, and these pages showcase his ability to bring vitality to scenes of talking heads, intensifying the dialogue as he builds to the big reveal of the Thanagarian military mission. Dee’s history is part of a much larger puzzle, and Naomi #3 starts bringing those pieces together to strengthen Naomi’s connection to the larger DC Universe.